In March the UK welcomes the Cheltenham Gold Cup 2017. The weekend brings with it fun, fashion and plenty of opportunity to win a cracking jackpot. Improve your chances of choosing a winner this year by using our handy guide. Save it on your mobile or print out for a reference guide on the day if attending the event. 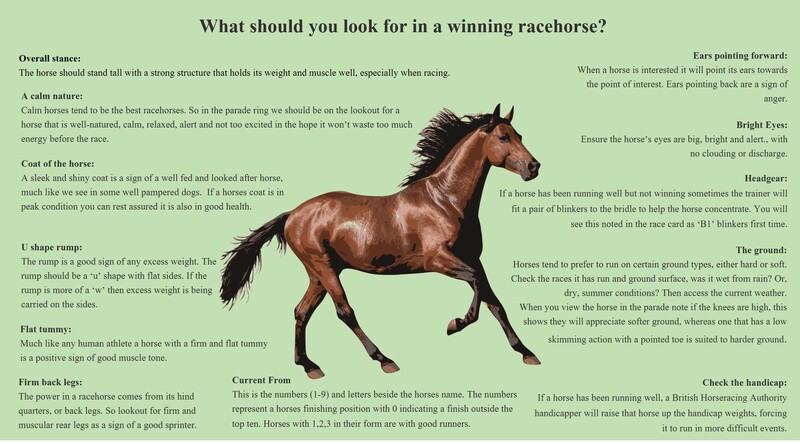 The guide highlights the vital signs of a super race horse from strong back legs to bright eyes. Take a look and pick a winner.